So, to go back to my lock for MOP? (as main) Talents for my resto druid don’t look that good for PVE, everything’s in the wrong columns! 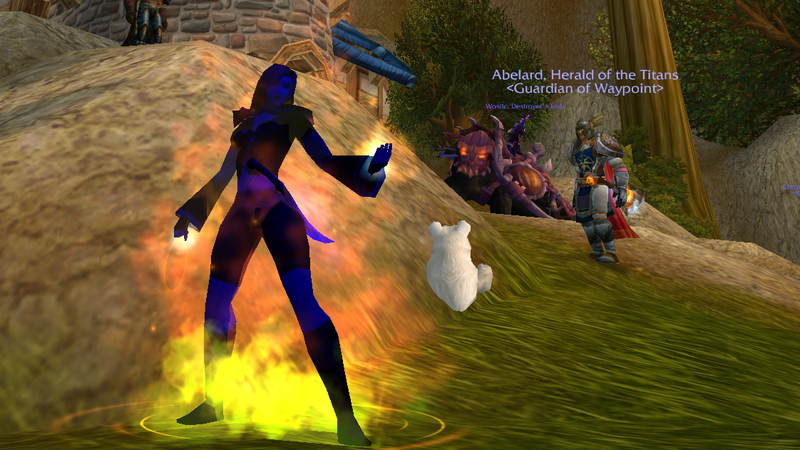 Warlocks in the pre-MOP seem almost deliriously happy. I can understand needing a rest period, but your posts will be greatly missed. Enjoy the break and I look forward to reading more in 2013. Don’t be a stranger, Cyn. If you ever want to chat or just shoot the bull or something, look me up. I’m not that hard to find. Have fun in your corner of IT land. Enjoy your break Cyn, wherever that takes you in the meantime. Sounds like I’ll have to go to harassing you in-game. I think I can handle this. Love you and your articles. I’m like the ones you mentioned in your post above: You have helped me understand BG objectives, terrains, and strategies, and most importantly, you have inspired me not to give up, to keep working and fighting and training and to remember to have fun with it! You’ve also helped me come to love (and get in the right head space) with my warlock. Mark me down as another person you’ve helped. No matter what you decide to do, I wish you all the best and all the happiness in the world! All the best to you, Cyn, and may the break be just what you need. I started to play warlock because of you. And now you are abandoning me? Take care and have a great time with your family. Enjoy your break! 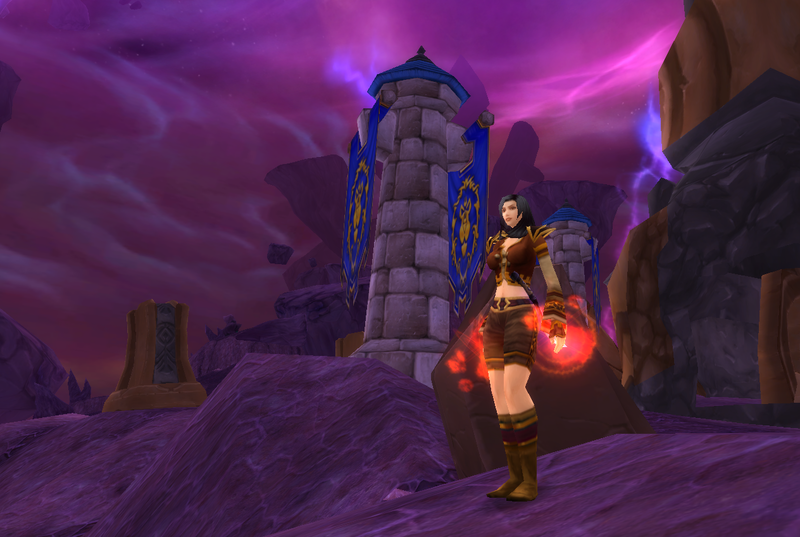 My Warlocks will be awaiting your return. Gonna miss the insights of my favorite WoW blogger. Take good care as you recharge! The first post I read was your keybindings post. That changed my game-play in such a powerful way that I still refer those new to keybinding to it. I’m not a PvP-er but I wear my pink ‘I ❤ AB' hoodie with my topological map on it with pride. 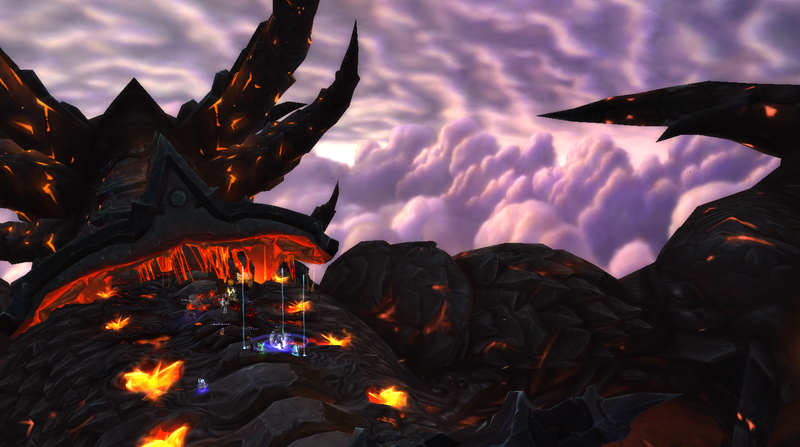 AB is the only BG I can tolerate, I promise I'll try harder with PvP! I have read and consumed as much as I can of what you've written. 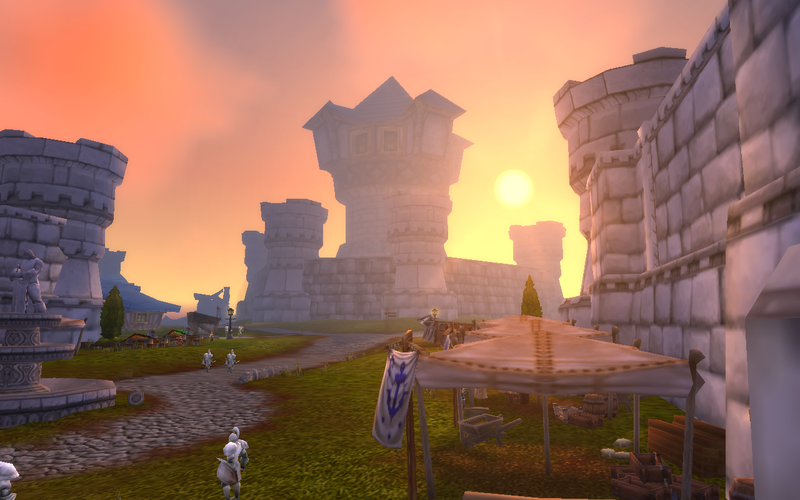 The journey you've taken with WoW has mirrored much of my experiences (as we've discussed elsewhere) and I consistently find that you're one of the bloggers whom I sure is reading my mind. 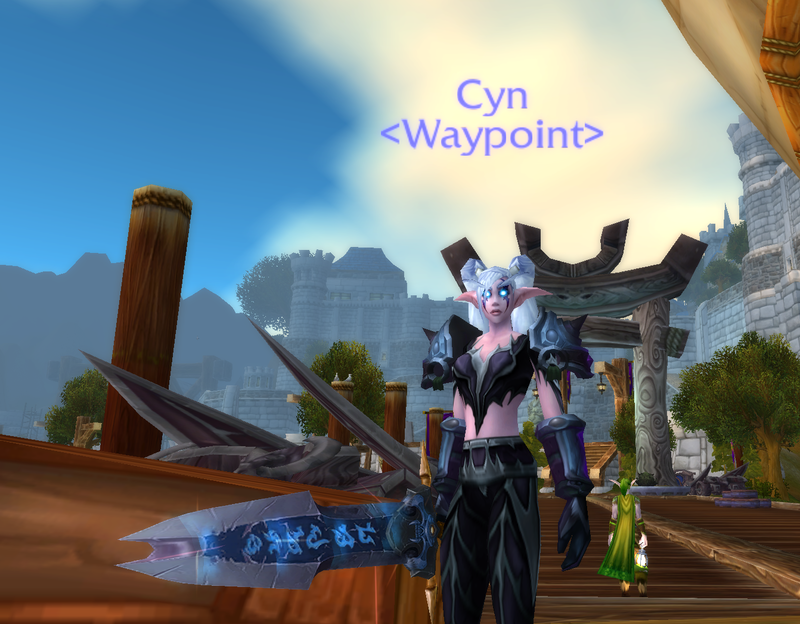 Demwise, my lowbie warlock is a gnome tribute to her hero, she's a gnome so she can literally 'look up to' Cynwise. My own blog began because I read yours and loved your style and was inspired to write. Rest up Cyn, we'll all be here listening and waiting in 2013!